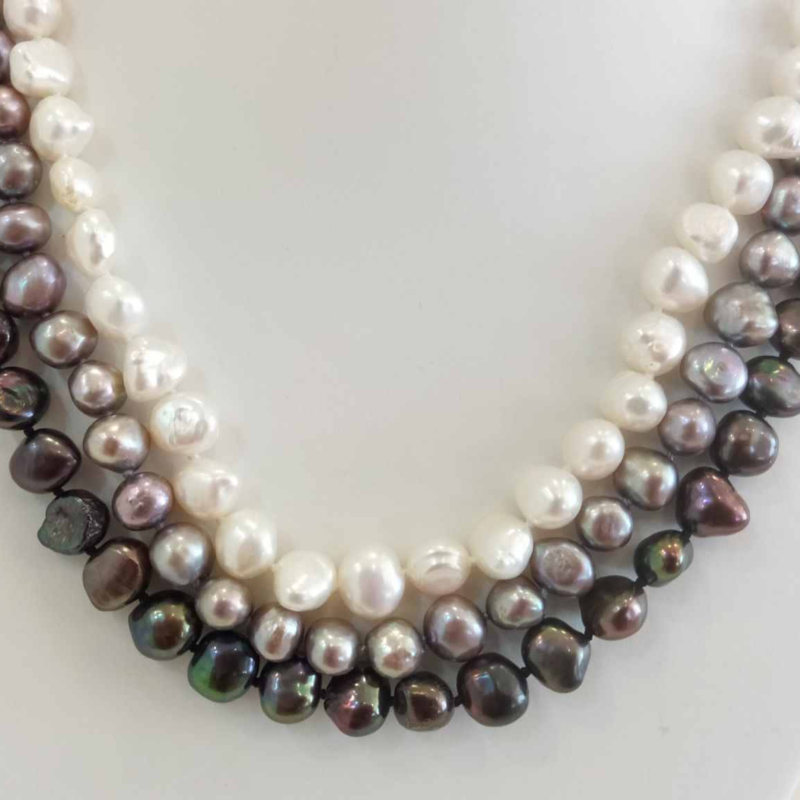 A stylish and eye-catching necklace of 3 rows of *Baroque freshwater pearls with a carved and polished shell clasp. 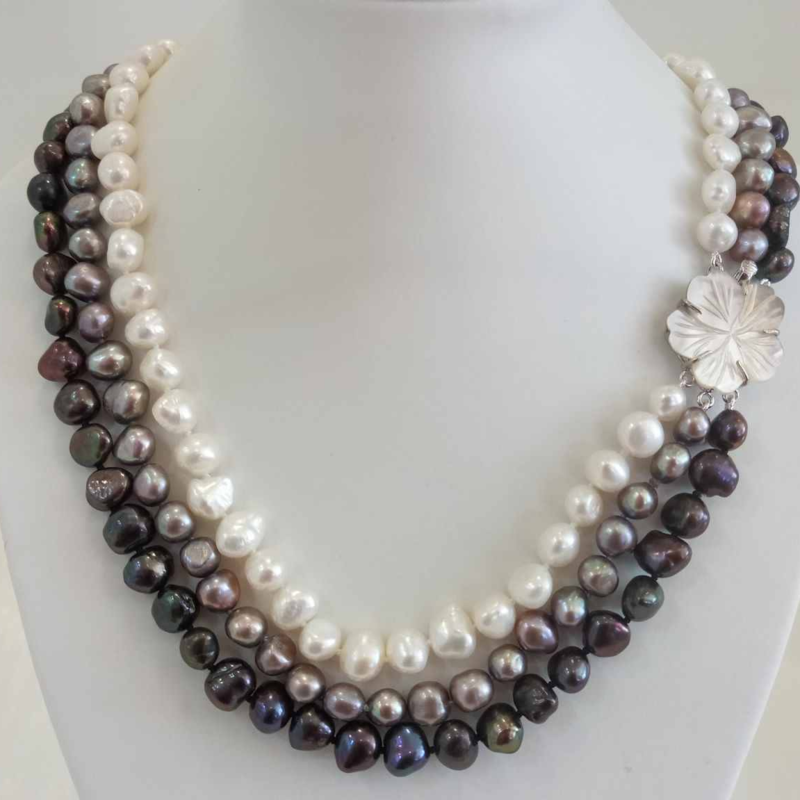 This example is in lustrous white, silver-grey and black pearls, individually knotted on silk in the traditional way. 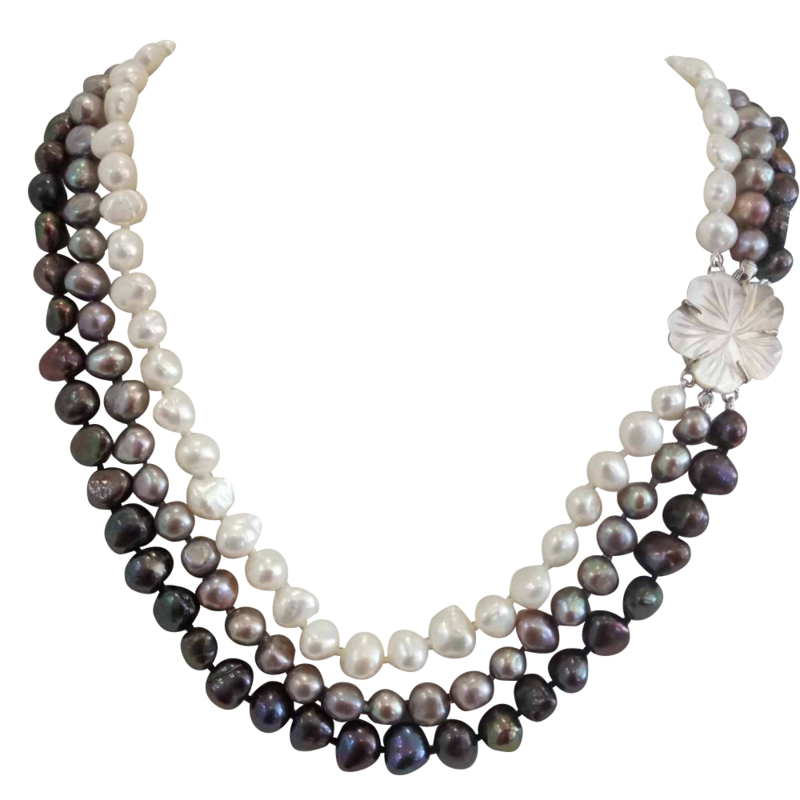 The longest row is 18 inches and the shortest just over 16 inches. 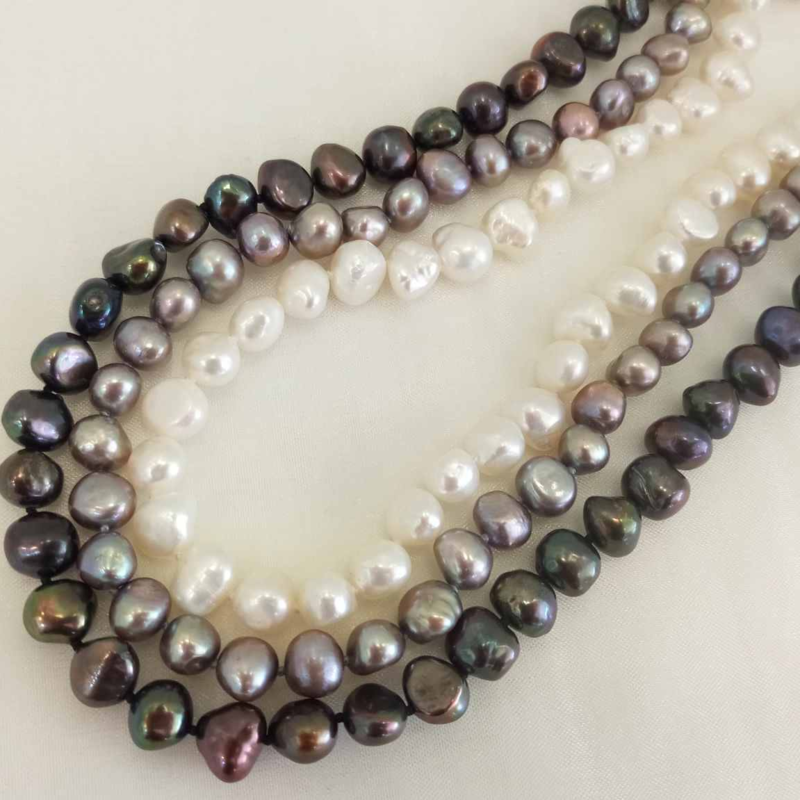 Each 7 - 8mm pearl is unique as they are naturally shaped and selected for complementary colours. 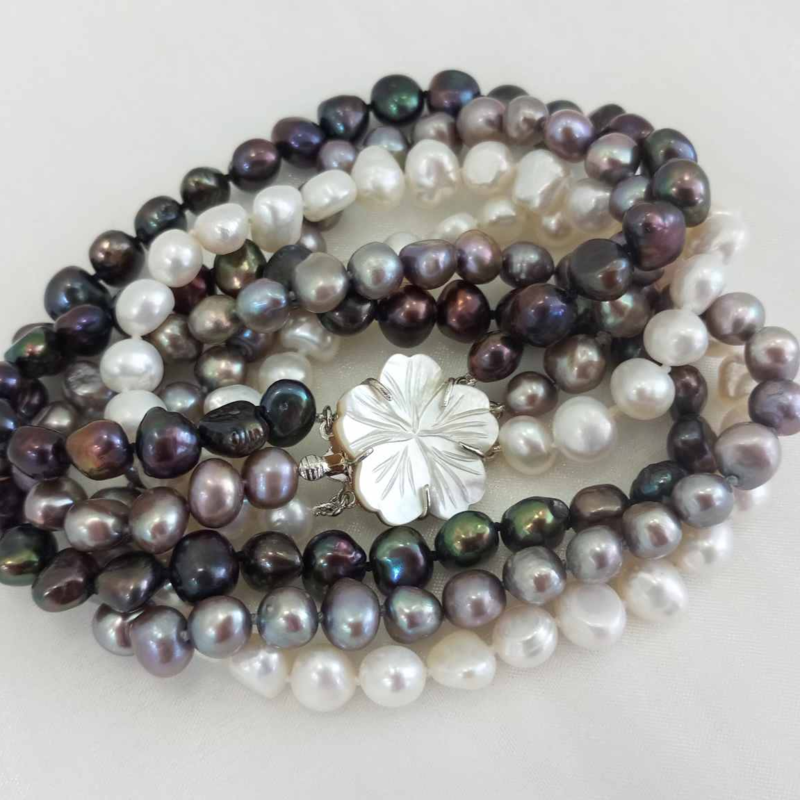 Your pearls come in a pretty and practical purse and can be delivered at no extra charge to any address in the UK.